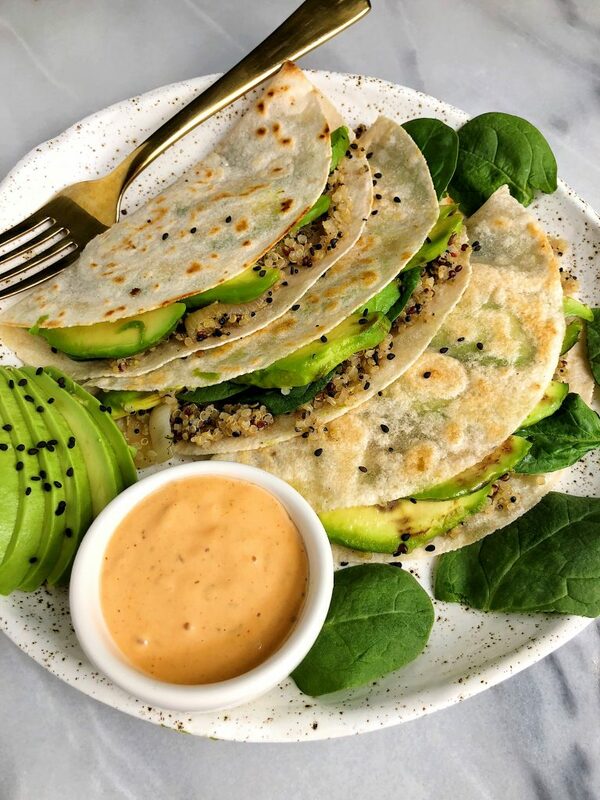 Crispy Pan Fried Quinoa Avocado Tacos made with gluten-free and dairy-free ingredients plus they are cooked with organic bone broth for extra nutrition and flavor! 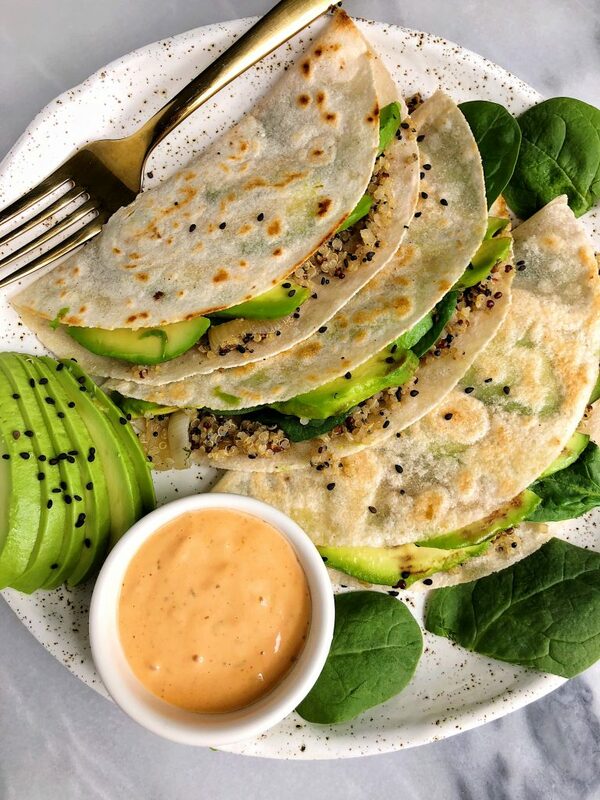 Crispy crunchy pan-fried tacos that are actually healthy? Sign me the beep UP! These tacos have been on repeat over here and I am not sure why it took me so long to whip these gems up. I love how simple and easy they are to make. They are filling, satisfying and they take minimal effort to cook. You’ll notice I use Bonafide Provisions Organic Bone Broth in two different steps within this one recipe. Step one you cook the quinoa with both water and broth. Why you may ask? Because it adds the most amazing flavor to the quinoa. I don’t know about you but quinoa tastes bland to me so by adding some bone broth in the pot, it really adds a lot more flavor than with just water. You do need to be careful not to over boil as that isn’t good for the broth to over boil for too long. Step two we “fry” the tacos in a skillet with avocado oil and some broth. The tortillas get extra crispy and flavorful too and SO flipping good. 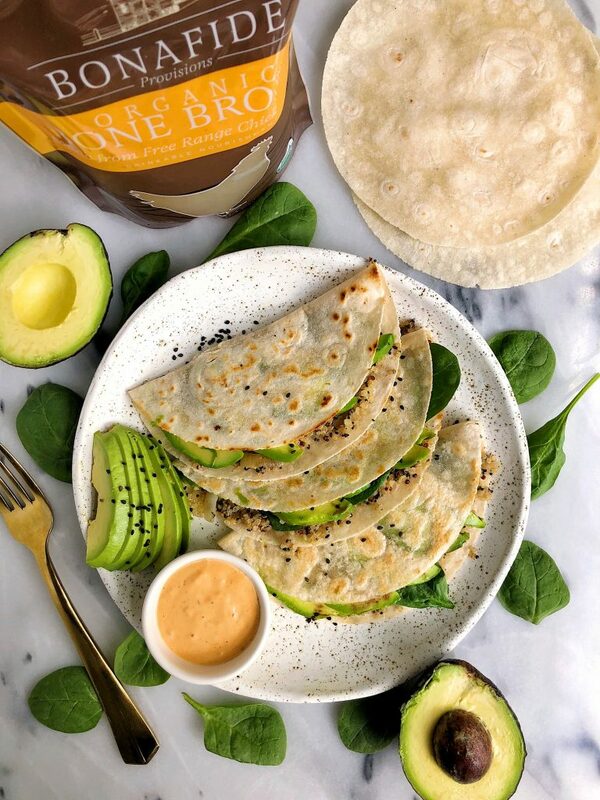 They are filled with avocado, the bone broth quinoa and leafy greens. You can of course add any additional proteins or anything you’re craving. I made these with grass-fed steak and they were so dreamy. You guys know I sneak in bone broth into my food as much as I can and also drink it straight up. It has collagen in it, making it pretty filing for a beverage and it has been great for my stomach whenever it is feeling off. It is so comforting and more nutritious than your typical broth. More on bone broth here and how it was the first thing I even broke my non-meat eating streak with. I always buy Bonafide Provisions bone broth because I can trust their broth, I love the taste and it is good quality. There are many broths out there that aren’t even actually bone broth! If you guys whip up these tacos, don’t forget to tag me on social media. I cannot wait to hear what you think! Thank you Bonafide Provisions for sponsoring this post! It means so much to me to work with brands I love and believe in on the blog! they always hit the spot! What sauce did you serve them w? !